The Holidays are here and you are in luck! Madera Uniform has carefully selected a few of our most IN DEMAND gift items of 2015. Leather, Touchscreen, Cut Resistant or Neoprene we have them all! Every public service officer uses a pair of gloves on the job. HWI gloves are excellent quality and would make a great stocking stuffer! Two of our most popular styles are the touchscreen glove and the sheep leather glove. In stock now at Madera Uniform, Metro Uniform in Fresno and Merced Uniform and available online. One of the most important things anyone in uniform wears is a good pair of boots! Madera Uniform offers several popular brands and styles such as Danner, Bates, Redback, Rocky and Thorogood to name a few. One of our most popular brands this year is Bates…and we have an excellent gift suggestion just in time for the wet winter weather. The Bates 8″ Strike side zip boot is waterproof, slip resistant and includes an Endurance Performance System that includes insole support, shock resistance and a durable rubber outsole. A long time customer favorite and the ultimate uniform boot, the Acadia by Danner is also an excellent gift for anyone looking for a long-lasting high quality boot. Acadia’s are famous for lasting 10+ years! Order online or visit one of our three stores and pick up your boot gift now! Badge wallets are one of the most popular gift items at Madera Uniform. Another staple item that would make a great gift for you friend or family member in public service. Our Badge wallets come with customized badge cutouts for CDCR, CHP, Police and Fire departments. We have bifolds and trifolds in several different styles by Perfect Fit and D&K. Our D&K wallet is one of the best with high quality leather that provides ample storage for credit cards and department ID as well as a recessed badge area for a perfect fit! In stock now at Madera Uniform, Metro Uniform in Fresno and Merced Uniform! If you are looking for a stocking stuffer for your friend or family member in public service, check out the custom department logo pocket knives and handcuff keys up on our site and in store now! We currently stock CDCR AND CHP department logos as well as Fresno, Madera and Merced Sheriff and Police. Every officer needs a spare cuff key, and the pocket knives come equip with a stainless seat belt cutter and glass breaker. A great tool for any unexpected emergency situation! Contact our customer service line 1-559-661-0777 for custom orders for your department! 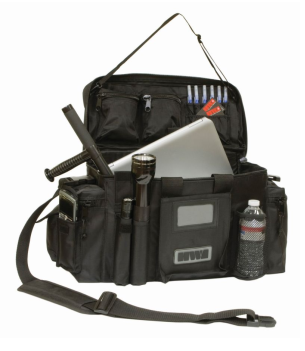 Our most popular bag, the Patrol Duty Bag, is in stock now and necessary for all CDCR and Police academies! It can fit all of your equipment, a flashlight, books and even a pair of boots. Available online and in store now! 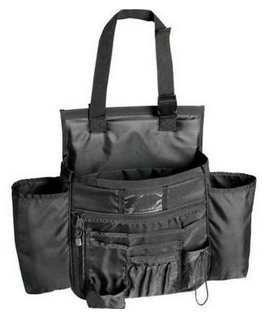 Ask about our Car Seat organizer! It is the perfect solution to keep your patrol car organized! 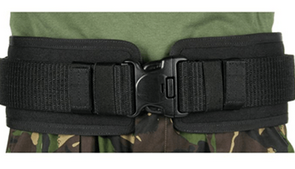 We also have plenty of stock one of our most requested belt accessory, the Blackhawk belt pad. This belt pad prevents pressure points and chaffing making wearing your duty belt and all of your heavy equipment much more comfortable. Order online or come pick up in store today! Last but not least, one of our most appreciated gifts, the Madera Uniform gift card. We can make it for any amount you want. 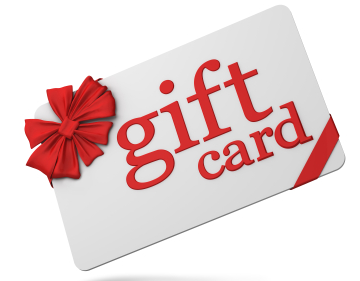 Visit one of our three stores or call our customer service line today at 559-661-0777 to order your Madera Uniform gift card gift!